A few weeks ago, I wrote an extended response to the Liebster Award, which asks you to write 11 personal items, respond to 11 questions, and give the award to 11 other bloggers. Amazingly, I received a second award from The Vern's Video Vanguard, who I joined on a podcast back in June. It's taken me a little while, but I've finally responded to his fun questions. It seems like basically everyone online has received this award, so I've neglected to pass it along once again. This time, I'm just answering questions. If you want to learn a bit more about me, here are some random tidbits courtesy of the Vern. 1. What would your dream movie theater have, besides just what is being played? My dream movie theater would be a giant one-screen theater with a full bar and comfortable seating. 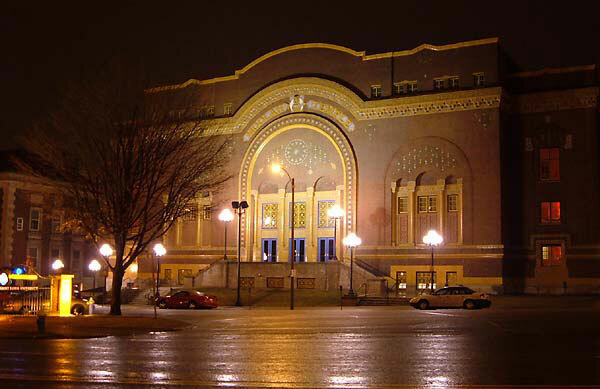 A good example is the Moolah in St. Louis, but there are a few downsides with the sight lines of their couches. I know the question says not to focus on what's being played, but what I'd really love is a place that just shows old movies. The selections would go beyond the obvious picks and delve into lesser-known directors and themes. They'd also have special events centered around the movies to add to the fun. 2. Name one movie that actually would be good to remake? I don't have a problem with remakes if there seems to be an interesting reason for doing them. Too many of them feel like money grabs, but that isn't always the case. I'd enjoy seeing a remake of The Black Hole, assuming they keep the hokey robots like Bob. 3. What irritates you the most when blogging? Most of my annoyance in blogging is directed internally when I'm trying to balance my time. I set lofty goals of writing ambitious posts that don't always make it onto this site. The Internet has its share of craziness, but I can't say that it has much impact on this blog. Finding time to watch movies and write about them is the main challenge each week. 4. What do like the best when blogging? I've been surprised at how much I enjoy interacting with the community of dedicated bloggers from all over the world. I didn't expect this type of camaraderie when I started this blog, so it's been a great surprise to meet so many cool people during the past year. I love the idea of drinking games and find them entertaining, but I can't say that I play them while watching movies. In the right situation, I'm guessing they'd be great fun, however. There's a flaw in the question because dolphins are kind animals and would never take over the world. 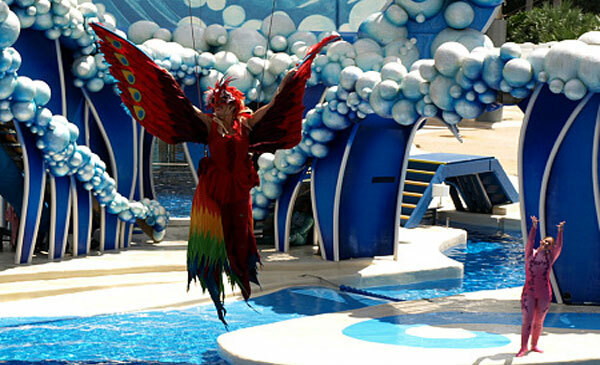 They prefer to perform in really strange shows at Sea World that involve the spirit of the wild. Trust me; they are very odd. When I consider those shows, maybe dolphins should rise up and strike down their masters. We deserve to die and should burn in hell! I can't say that I refuse to watch any movies, though I'll admit there are some where I'm not as enthusiastic to check them out. The main reason that I might hesitate is extremely long movies, but that relates more to my schedule than a dislike of those epics. I'm going to cheat and respond with the theatrical cuts of the Star Wars trilogy. I still have a few VHS tapes around, but those are the only movies that I'd like to watch in the future. I also own the DVDs, but the tweaks that George Lucas made still make them inferior. 9. Have you ever danced with the devil in the pale moonlight? I always ask that of all my prey. I just like the sound of it. 10. What is a good movie that you have a hard time convincing people to watch? The movies that I'm championing most frequently are the works of Whit Stillman, who directed three wonderful little films of the '90s. His voice is much different than the much of the indie scene, especially from that time period. His characters are young rich kids who speak with intelligence and wit but still struggle with the basics of life. He returned this year with the charming Damsels in Distress, and it was a triumphant comeback. My choice of pizza toppings isn't too exciting. It's usually just sausage or pepperoni with an extra touch of red peppers or mushrooms sometimes. If you put too many toppings on a pizza, it just becomes a jumbled mess. That's rarely a good thing, even from great places. I admire your dedication Dan. I believe about 7 or 8 people have nominated me for this award, but I can't answer all those questions. Thanks Sam! It's a bit sad that it took me over a week to give short answers to 11 questions, so I totally understand how it would be if you got that many nominations. Great post, Dan. I always enjoy these Liebster posts. :-) I've never heard of Damsels in Distress. I should check it out. Thanks Stephanie. I can't promise that you'll like Damsels, but I think it's worth seeing. This was a fun read Dan. I still have my theatrical cut Star Wars VHS's too. :) And I've been wanting to check out Whit Stillman's work for some time. Must do that soon. Josh, I think there are a lot of us with those VHS copies. Mine are widescreen, which was a pretty new thing for VHS at the time. If you're going to check out Whit Stillman, I'd suggest starting with Metropolitan. Your a good sport filling out more of these questions. I finally filled mine out last week and wasn't as difficult as I thought it would be. Did you ever get the LaserDisc editions of Star Wars? Max, it was pretty easy since I was just doing the questions this time. I never picked up a Laser Disc player actually. I was still watching VHS tapes up until the late '90s when DVD came into play. I'm always a bit of a late adapter too. Congrats on the award! I'm with you that Whit Stillman is a talent, and his movies are special, especially in terms of dialogue. I haven't seen Barcelona (1994)impossible to find? My favorite Stillman film is The Last Days of Disco (1998). His latest, Damsels in Distress (2011) I wrote about in my monthly round-up, a promising opening, but I think lost its way, my least favorite so far. Chris, Barcelona is great and definitely worth seeing if you like the others. I have a DVD back from when it came out. I didn't realize that it was hard to find. They do have it to rent on Amazon Instant for $3, which isn't too bad. I really enjoyed Damsels, but I agree that it's my least favorite of the four. The other three are really tough to beat, though.